MEphonehome is a personal assistant and mapping system that does not require mobile data for foster youth. An estimated 1.6 to 1.7 million youth join the ranks of runaways and the homeless each year, and many of them are foster youth who are leaving the foster care system. (1) Even without the threat of homelessness, foster youth often are transferred from homes and must adapt to new places and situations quickly. Charities like Rack Gives Back, the philanthropic branch of Rackspace, are aiming to grant these youth the with free cellphones. (1) The problem however is that most of these youth would lack a data plan, so the benefits of the phone such as location services, maps and google searches are not available when the youth are without wifi. 1.Burt, M. Understanding Homeless Youth: Numbers, Characteristics, Multi-system Involvement, and Intervention Options, Testimony Given before the U.S. House Committee on Ways and Means, Subcommittee on Income Security and Family Support, June 19, 2007. 2007. Urban Institute. Accessed Aug. 11, 2009 from http://www.urban.org/UploadedPDF/901087_Burt_Homeless.pdf. 2.Gates, Jennifer. "THRU Project." THRU Project. THRU Project, 9 July 2016. Web. 06 Nov. 2016. The MEphoneHome ios app allows for the foster youth to download a local map while connected to wifi and render a map. After leaving the wifi zone they would still have access to the local map. Through the use of our AI, they can find directions to their home and safe spaces (such as a Emergency Shelter, Plan Parenthood or an Urgent Care Clinic). The app gives the youth control, to find where that job interview is or how to make their way home when their lost. The AI will give them directions to addresses around them, and helping the youth find locations beyond addresses, can will recognizes words like home, food, and hospital to help the youth navigate in their current community. We built it through Xcode the local map is implemented with MapBox through Swift and Objective-C. 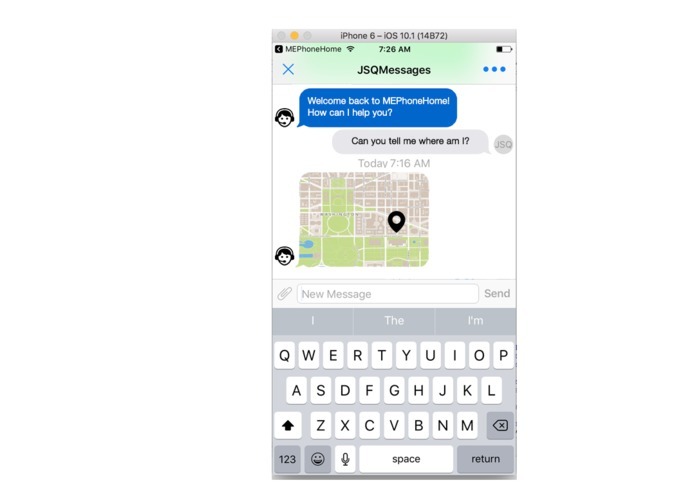 The AI communication interface is also utilizing Xcode Swift, with a bridge that uses a python library to run the AI. We struggled with learning how to integrate Frameworks, Cocoa pods into the IPhone SDK. We also struggled with the lack of documentation for the IPhone-SDK MapBox API. 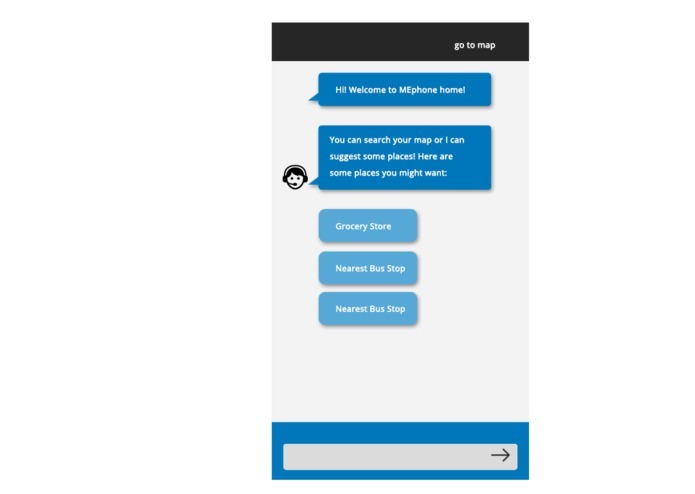 We were able to execute the map and the messaging board with the AI, but beyond that we were able to create a prototype in proto.io and a version of the offline and a version of the virtual assistant that are hosted locally. We will now be able to refine these into a working final product. Us: Teamwork strategies with Trello, Slack, Github. Did: Researched, UI 2 pages, logo, hosted domain, started website, repository in Github, proto.io, careful planning during agile development. Needs: Connection of the virtual assistant to the Mapbox, Implementing pods, Frameworks, and the connection between frameworks and pods. We would like to refine the app, so that integration of Mapbox offline mode with the virtual assistant is seamless. We would also like to focus on keeping the data load in the phone small, so that youth would be able to use it even if their phones did not have much internal memory. I worked on styling the maps and helped designing the general structure of the app. I worked on styling the maps, and helped designing the general structure of the App.